Last year at VMworld, VMware announced project Meteor and project Fargo. Two projects aimed to deploy desktops faster and be more agile in delivery of desktops and applications. What they showed back then was how they could deploy a desktop within seconds by cloning it Just-In-Time through a technique called forking. Without going into the forking technique, which is super interesting, I think it’s good to know what is behind a project. Next to that they just bought Cloudvolumes and re-branded it to Appvolumes. 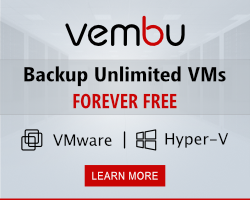 Fast delivery of applications without the need to virtualize or install in the image. Both techniques combined made a hell of a presentation. So that was VMworld, we were all super excited for this would be a game changer… of course we were cautious because we didn’t see a live demo yet. VMware releases vSphere 6 and guess what was released as a feature there, forking vm’s. Instant cloning is by now a default feature when you use a VMware hypervisor. Before we break open the champagne, it was only supported in vSphere not within Horizon View. Read Kit’s blog here. Still, they did an amazing job having a beta in August and a release beginning 2015. 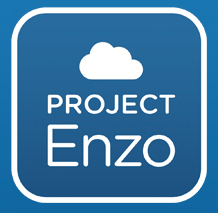 Again fast forward to a few month later, VMware announces Project Enzo. A project to enable fast deployment of desktops and applications on-premises (written correctly 🙂 thank you) or in the cloud. The control panel is of course meant to entitle user, assign desktops, images or deploy new desktop pools and so forth. As you see they also mention User Environment Management so it looks like the newly acquired Immidio UEM solution is integrated. The smart node panel is the technique they announced at VMworld, JIT desktop deployment by using forking technique and Appvolumes to deliver application JIT. Of course none of this would be possible without a kickass hypervisor that enables all this, the forking technique is available in vSphere 6 and will be the cornerstone of this project. If you are interested you could sign up for early access and be one of the first to try it out. Sign up here if you want to be on top of this. Want to know more, well so far this is it.. watch the video and wait until we have access. Here’s the link to the VMware website.